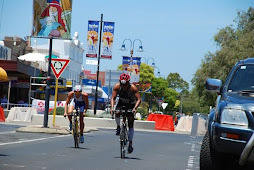 It was supposed to be a short simple race, just 2km long and only 1.5 hours drive from home. 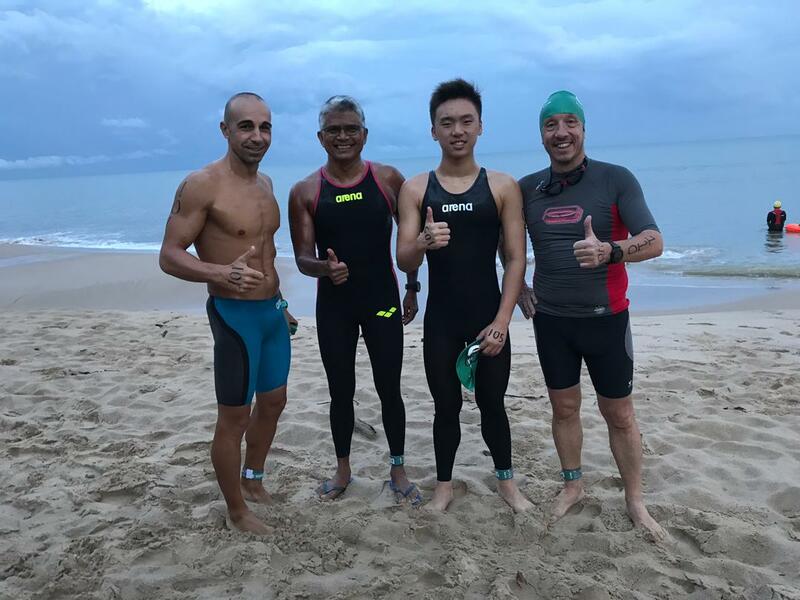 The previous two weekends I had raced 10km and 6km at Pattaya and Langkawi respectively, combating jelly fishes and huge waves at Langkawi. 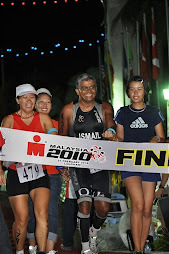 So how difficult could this short 2km race, organized by my good friends, at nearby Port Dickson, be? Well I got a real Heart Attack mid way through the race and I'm lucky to be still here. Many Heart Attack victims don't even make it to the hospital and some don't get out of hospital alive. Heart related issues (Coronary Heart Disease) is the biggest killer of men and women in Malaysia, more than cancer, more than anything else. It is a very real issue. How come I'm still alive? What can we do to reduce the likelihood of a heart attack happening? 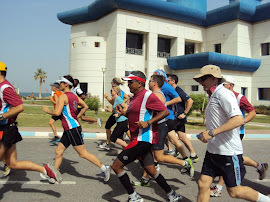 What can race organisers do? What can we do to survive a heart attack? What can we do to aid our recovery? Well it would be nice if I could answer these thoughts accurately for all to benefit, but I'm only a dumb person. Very good professional information on heart attacks (Myocardial Infarction) is available from The American Heart Association, WebMD, MedicineNet, British NHS, amongst many other sources. An article by The Star on young Malaysians getting heart diseases. Western articles tend to say that smoking is a big culprit. 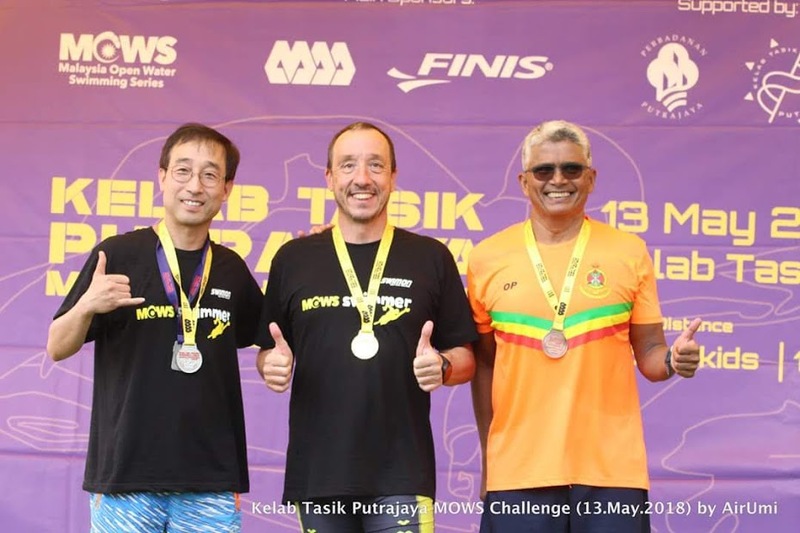 I think for Malaysia the main culprit is the oily food and if you add no exercise, smoking, drinking and being overweight, then you've got no chance baby. Well I woke up a bit late, which created unnecessary anxiety (which causes Blood Pressure to rise). There was a minor accident on the highway, the car had no petrol, the race parking lot was full, not a good start at all. Then for the first time my wife was not with me. So my mind set was not its usual self. My wife evens puts on my swim compression top for me. I'm quite useless at doing things by myself. Then I drank a full can of red bull, which was a change from my normal morning routine. The race registration seemed to take ages. The queue didn't seem to move. Then before we knew it, it was the Race Briefing and the Safety Briefing. The Safety Briefing seemed to be more serious, taking longer than the Race Briefing. I didn't do any warm up (which was the actual cause of the Heart Attack I think) and took my starting spot away from everyone, beside the deeper start buoy. This was a straighter line to the red turnaround buoy and I meant business that morning. 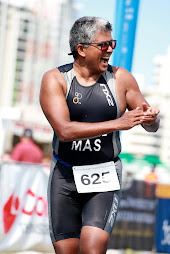 I haven't been doing any warm ups for my training or races because all my workouts are long and at a constant pace, lasting for more than two hours. I just go slow for the first thirty minutes and then pick up the ante. But that tactic didn't work for a sprint race and I paid for my oversight. I sprinted right from the off because it was clear water in front of me. 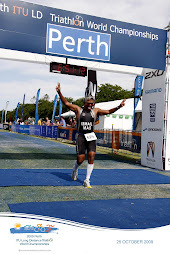 I knew very well from my Triathlon days that it was of paramount importance to get clear water in front of you. So I took my opportunity and went off helter skelter. My heart was pumping but who cares, this was a sprint race. I reached the first buoy quite ok in front of my normal rivals. Then at about 1.2km I realized that I was slowing down for no apparent reason. People were passing me by and I couldn't seem to respond. Maybe I should slow down to catch my breath? Tried that for a while but the heart beat was still soaring. I needed to stop outright I thought to catch my breath. So I held on to my swim safety buoy, completely stopping. But I wasn't catching my breath back. I couldn't breathe. My chest felt tight. I was in trouble. Swimmers passing me by were concerned for me. I looked at the safety boat nearby and they were intently looking at me, already sensing something was amiss. So I bit the bullet and held up my hand to be rescued. 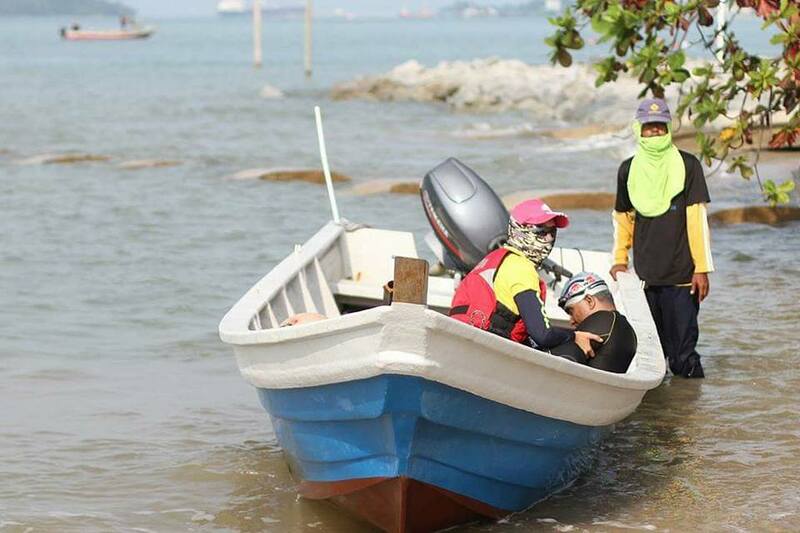 Cherish Chin and Amat quickly arrived in the rescue boat. But I was semi conscious and they initially couldn't pull me head first into the boat. My chest was rubbing hard against the side of the boat and I had to tell the rescuers to stop. 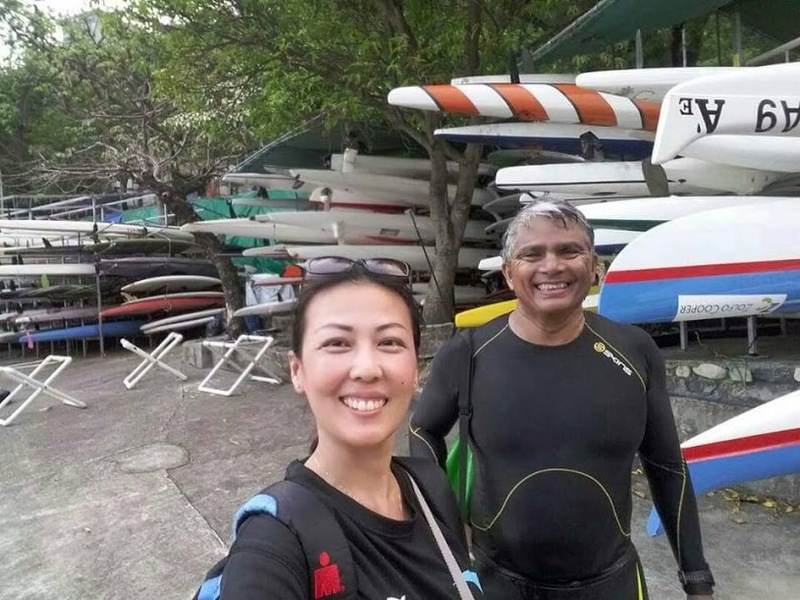 They advised me to hook my feet over the boat whilst Amat wrapped the safety tube around my body. This worked, in no time my whole body was in the boat. The rescuers communicated with the shore using a walkie talkie they had. Race Number 184, I was able to blurt out. Once on the beach they placed me on the ambulance's stretcher. They took off my compression top as I complained it affected my breathing. 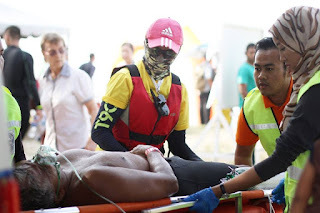 I could sense the utmost urgency by the rescuers and the ambulance personnel (EMS Medic). They are all good people, at full concentration trying to save the life of this stranger. The four medical personnel were very competent. The dedicated medical personnel placed a pill under my tongue. They tried to make me breathe in oxygen but nothing was going in. "To the hospital" someone shouted and off I went sirens blazing. The ambulance reached the P.D. Hospital only 4km away in seconds. I was on the emergency bed and masses of medical people surrounded me. The sense of urgency was very high and everyone was working as one to save this stranger. I am very impressed and grateful. The person calling the shots was a very young Indian Doctor. He was barking out instructions "monitor his pulse", "monitor his BP", "give him morphine", "give him more morphine". Everyone followed his instructions, I was very impressed. I basically couldn't breath. The oxygen wasn't going in and I felt very uncomfortable. I thought I was going to go (die) anytime. The young Indian Doctor was staring intently into my face for tell tale signs. "You are having a heart attack" the young Doctor said. A heart specialist did an ultrasound of my heart. "Very bad", he whispered to the young Doctor. Oh blimey, I can't be going now. Don't sleep, don't go unconscious I told myself. "We are giving you something which has a risk ok", the young Doctor said. I understand the Hospital gave me a blood thinner to clear the clot / blockage at a heart artery. This is called thrombolysis. It is imperative that the heart attack victim is brought to a Hospital with Emergency Cardiac Care immediately to improve chances of recovery. Then miraculously after about one hour, I felt the blockage clear and I was able breathe deeply. I knew then that I was going to make it. The young Indian Doctor and the Government Hospital saved me. I thanked him "for saving my life" and he said he was just doing his job. My first night was in the HDW. Here we are monitored continuously 24/7 by various medical equipment and dedicated nurses. The nurses are sweet and pleasant. I was enjoying my stay at the Government Hospital. After the first night, I was transferred to a normal ward for three nights. I shared the room with seven other patients. To be frank, we were all normal poor patients. One was a drug addict, many had no jobs. I have never stayed in a Government Hospital but this was probably my most enjoyable time in a hospital. The room was a hive of activity with a constant stream of visitors, student nurses regularly doing their rounds checking patients' key indicators, regular nurses doing higher level stuff, cleaners, student Doctors, junior Doctors, the Specialist (Dr Siti, whom I feel is the most impressive Doctor I've seen). Its an incredible training ground for Doctors. They have to think on their feet and assess many patients at the same. The Doctors at private hospitals by comparison only say "how are you" and clear their throat. 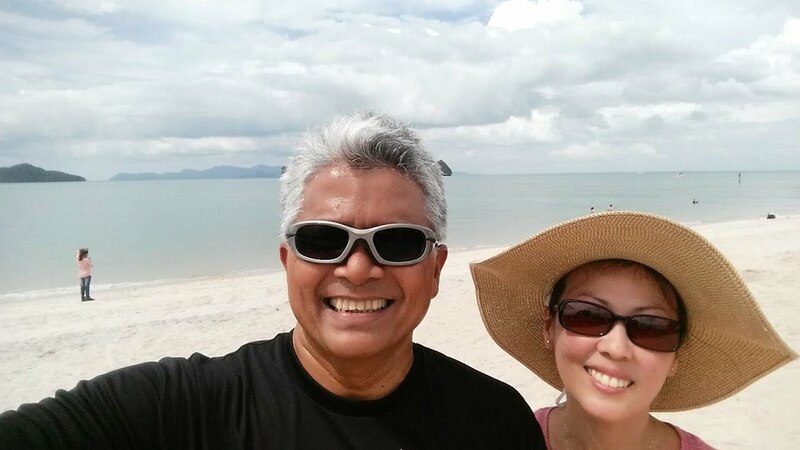 Dr Siti advised me to stay the full five days at the Hospital and complete my medication. Well I'm not arguing with the Hospital that saved my life. The total bill came to RM 183. My perception of Government Hospitals has done a complete turnaround. 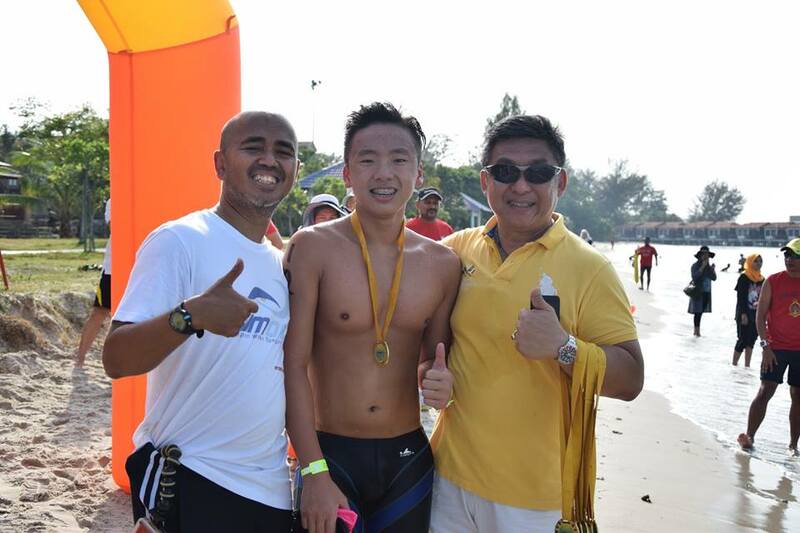 Eric Tan is the dad of champion 16 year old swimmer Rupert Tan. The swimming community is very small and we see each other all the time either at the Kampong Pandan swimming pool or at races. We have become very good friends. 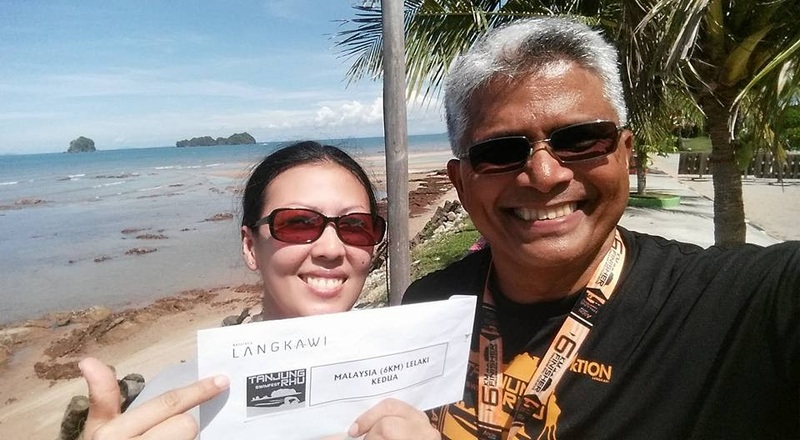 Eric was helping with distributing finishers' medals when he heard a swimmer (me) had been rescued from the sea. So Eric dropped everything and gathered all my things and followed the ambulance to the Hospital. He was intently observing me at the Hospital as he had to update my wife. Ha ha Thank you for everything Eric. 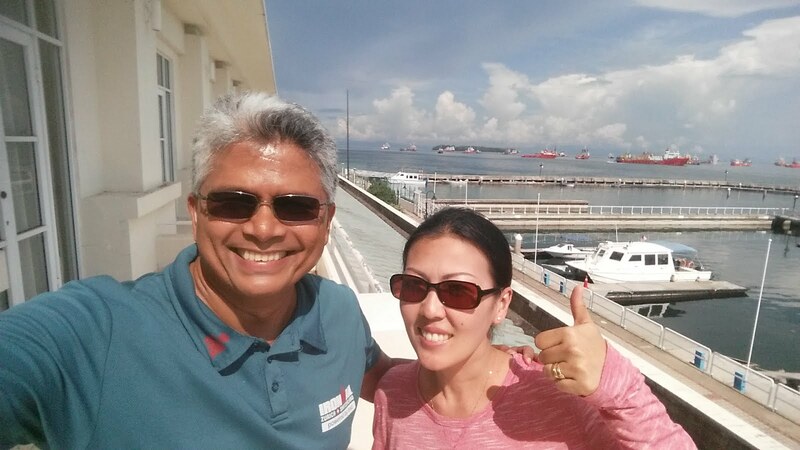 I off course was very impressed by my experience with the Port Dickson Hospital, third class and all. I accepted their referral to the National Heart Institute even though the first meeting with the Consultant was only on 24 Jan 2017. That was just the consultation, the Angiogram was only carried out on 8 Feb 2017. Quite a huge gap in between. A statin for cholesterol taken after dinner at night (Lipitor. RM 5 a pill, ouch). At the time of the heart attack I had stopped taking all medicine. The statins, even fish oil. It might have been a mistake. I received a lot of advice through social media to take things very easy, after all, I just had a heart attack. 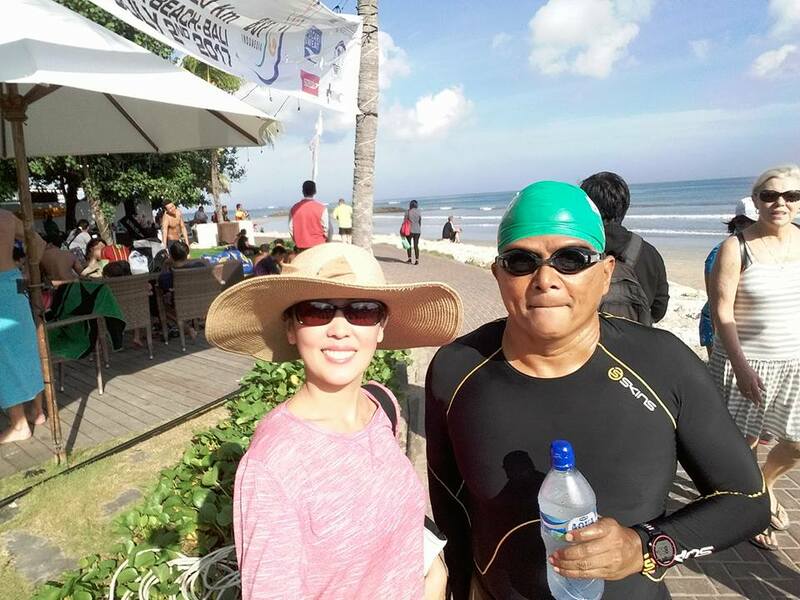 I resumed swimming on 25 Dec one week after the heart attack with a 3 km swim. Initially there were many dizzy spells and the heart felt stressed. But the body adapted and swimming soon felt easier than walking. I swim right outside my apartment window, the pool is shallow, I take all my medicines and I don't go fast. 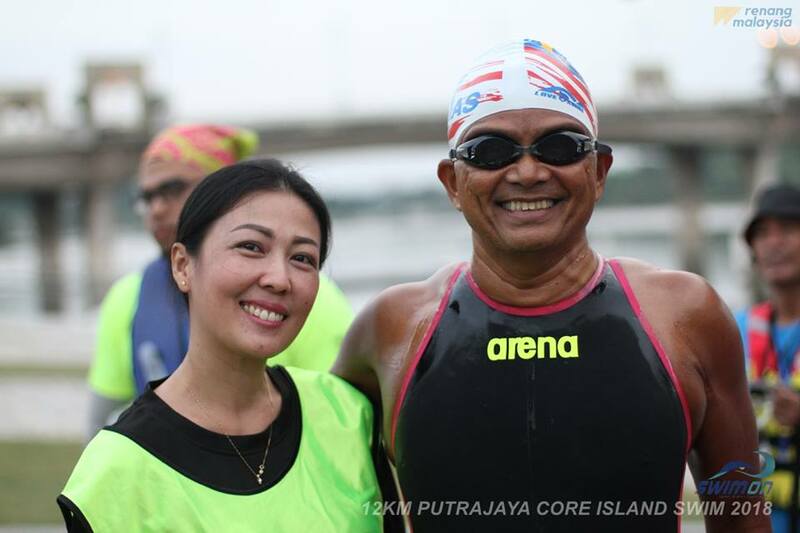 My standard swim is a straight 7.5km swim using a pull buoy completed in 2.5 hours. So I do about 40 km to more than 50km per week unless I'm sick. I guess I am addicted to exercise. I'd thought the medicines might have cleared my blockage but the angiogram revealed I had a key artery that was 99% blocked. 24 Jan 2017 was the earliest date available to see the Cardiologist. This appointment was made by P.D. Hospital and IJN. IJN is very popular, its not easy to get an early date. If something happens to the patient before the appointment, you have to go to their Emergency. 7 Government Hospitals can do heart surgeries for minimal charges but there would be a long queue. But IJN comes very highly recommended, so I opted to use IJN. No regrets, it is a top place. 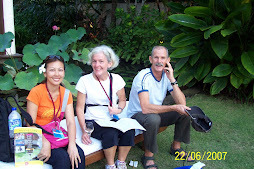 IJN sees itself as a Private Hospital but its free for Government Servants, their dependents and Government Pensioners. The public can appeal at their Unit Taksiran and I think if you are really poor, financial assistance will be given by the Government. I didn't receive any. The visit on 24 Jan 2017 was a nightmare. Was there from 8 a.m. until 3.30 p.m. just to see the Cardiologist and get some medicine. Awful experience. Checking in on 7 Feb 2017 was much more smoother than my previous experience on 24 Jan. I accepted a six bedded room (Third Class) at RM 50 per night. Nothing wrong, the room was new and huge. Many empty beds. Started fasting from 9 p.m. The problem was that the timing of the Angiogram was anytime on 8 Feb 2017. I was finally called at 4 p.m. and had been fasting since 9 p.m. the previous night with only a Milo at around noon. More waiting at the Angiogram room. The room, equipment and everything looked so modern and new. I knew I had come to the right place. The whole Procedure lasts more than an hour. I hated it, I was hungry, dizzy, couldn't breathe, painful, very painful at times. I hated it. The technology behind an angiogram is truly amazing. That they only need to make a small incision near your wrist at a vein or artery and then insert a tube, dye, camera device and wire to find the blockage near your heart or examine whether it is diseased is just amazing. The angiogram is the "gold standard" test to determine if you have coronary heart disease. 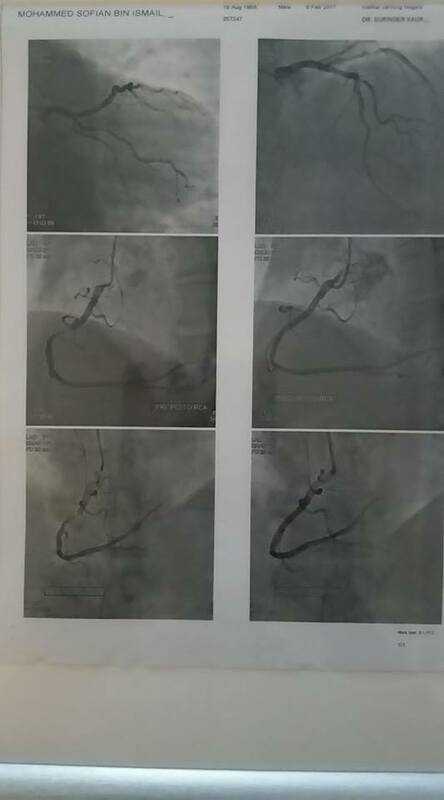 The angioplasty was done at the same time, as the 99% blockage in a key artery was detected. In angioplasty, a ballooning device which has a stent (fixed tube) is placed through the blocked artery. The balloon is inflated opening the artery, then deflated and removed. The stent remains, permanently opening the artery. The only problem was that I didn't enjoy the angiogram and angioplasty it at all. The name of my official Doctor was Consultant Cardiologist Dr Surinder Kaur, but I never met her. The name of my actual Doctor was Doctor Navin. A young chap, he is a Fellow Cardiologist (under training I think). My bill (for two nights and one stent insertion) came to RM13,486. I should think this is cheaper than a real Private Hospital. Recovery from an angioplasty has to be done slowly. Dizzy spells and chest pains are common. It takes several weeks, be patient. Full recovery will come, as Dr Navin told me. So for fun, lets try to answer my initial thoughts. 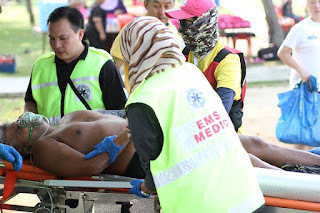 In the year 2016, Port Dickson had two deaths at its races, as far as I know. 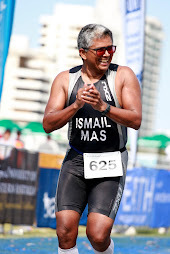 Port Dickson International Triathlon. Sprint Event. Yes only a Sprint Event. One person died. No one died at the long distance P.D. 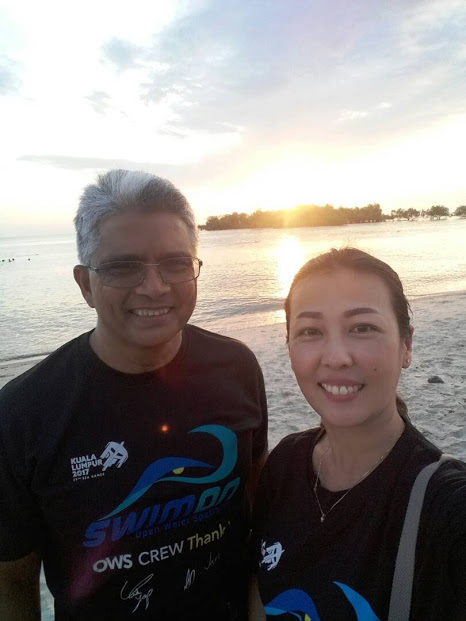 Swimathon (5km) which had many beginners. The PDIT at the P.D. Marina was only half a km from the P.D. Hospital. I don't know what happened. 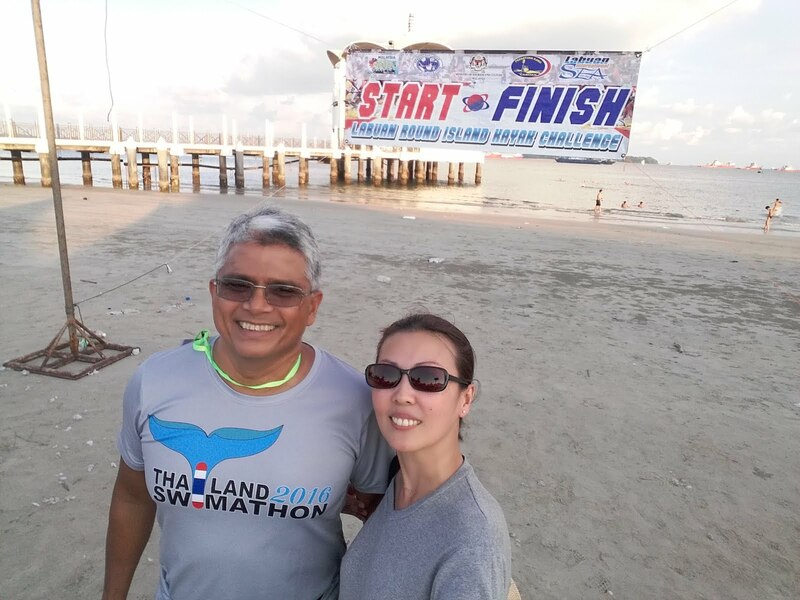 3.5 km Island to Island swim held at Bagan Pinang (same location as the 2km race that I am now writing about). One person died. Couple up with very competent Lifeguards. 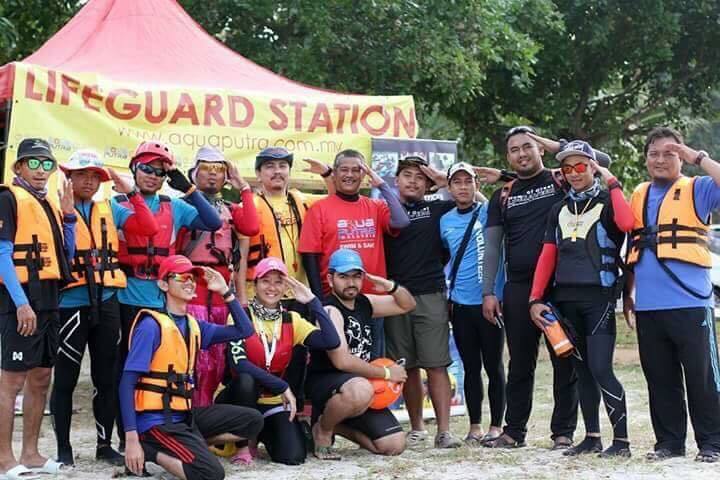 Aquaputra Putrajaya are very professional. 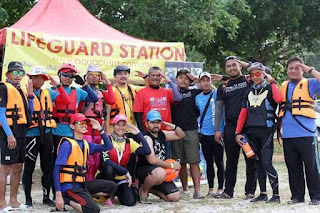 Have Lifeguards on a powered boat or jet ski with a rescue tube, walkie talkie for quick communication with the ambulance crew. 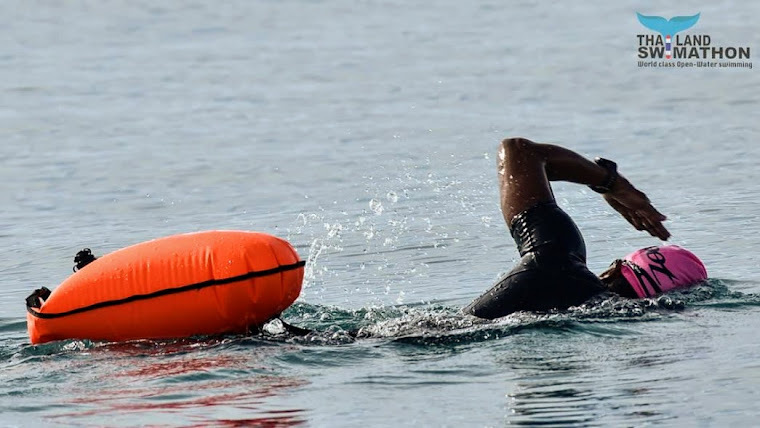 Require swimmers to use the open water safety swim buoy as swimmers could hang on to it even when semi-conscious. Engage EMS Medic or a Government ambulance on standby. The above were all done. That's why I survived the heart attack. 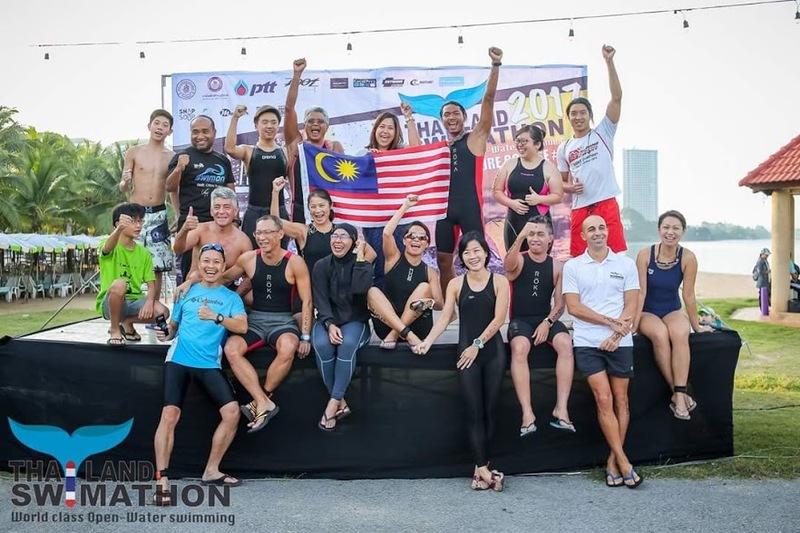 Well done Swimon, Aquaputra Putrajaya. The underlying cause I think, was my high cholesterol, "high borderline" since I first did tests more than 20 years ago. Most heart attacks are caused by coronary heart disease due to heavy plaque formation narrowing the arteries. The plaque breaks, a clot forms to stop the bleeding. The clot also stops blood flow to the heart. Wham Heart Attack. The specific cause that morning was not warming up. This was the actual trigger. Sudden loss in stamina for no reason. Unable to breathe / chest pains. All sportspeople must be very weary of these classic symptoms ok. 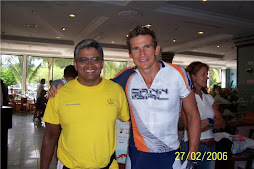 I was able to resume training one week after my heart attack, even though we later found one artery was 99% blocked. I think I got away with it because I was religiously taking my blood thinners and statins. Plus my workouts were all at a slow constant pace. General risk factors are smoking, sedentary lifestyle, over weight, high blood pressure, family history, diabetes etc. It is considered easier to prevent than to cure a heart attack. Anyway, Dr Navin was perplexed as to why I got a heart attack. Get them to Hospital with emergency cardiac care immediately. I vouch for our Government Hospitals. Any delay can permanently damage the heart, delay recovery or worse, the victim goes to heaven. Place an aspirin under the tongue. An aspirin (only 50 cents each) is a blood thinner which means it prevents blood clots from forming. If the victim is unconscious, perform CPR. It might be bad luck to talk about this as now the chances of another heart attack for me will always be there. The critical period is the first 24 hours, then one week, then one month. Well, I'm still here. Whilst swimming may have been my downfall, its also the road to recovery. 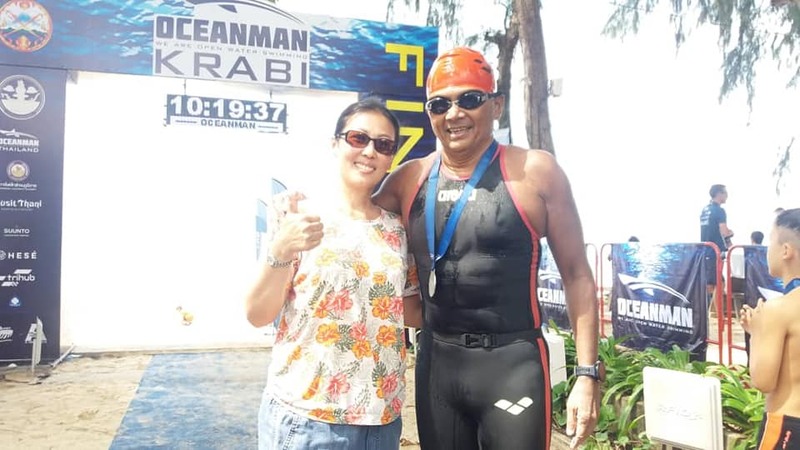 I started swimming about one month after my total hip replacement in May 2016. 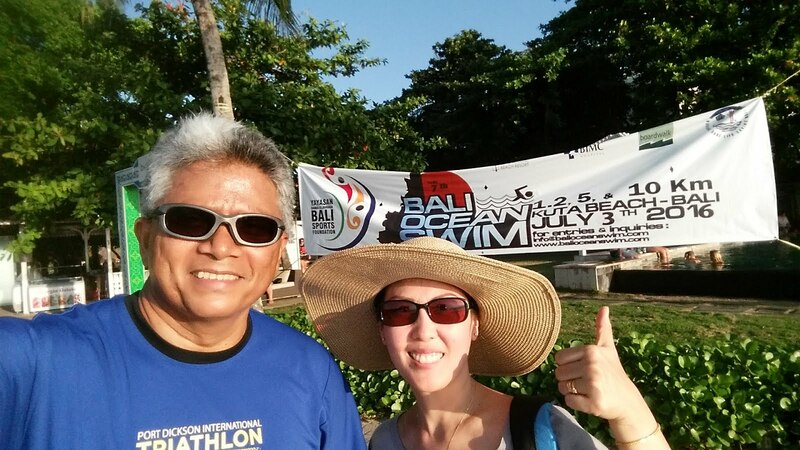 Two months after the surgery I completed the Bali 10km Ocean Swim. 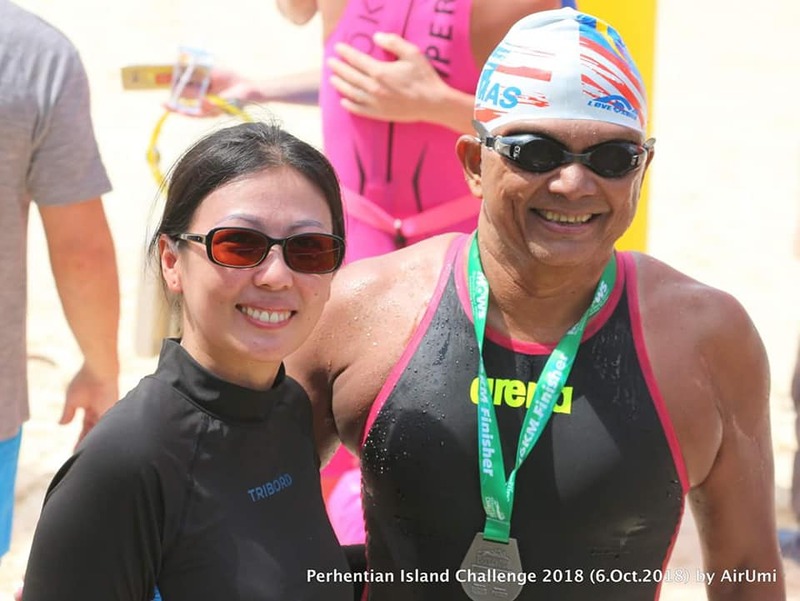 Then swam Pulau Perhentian Besar solo (16km) in Sept 2016, Pattaya 10km on 4 Dec 2016, Langkawi 6km on 10 Dec 2016 before that fateful day on 18 Dec 2016. 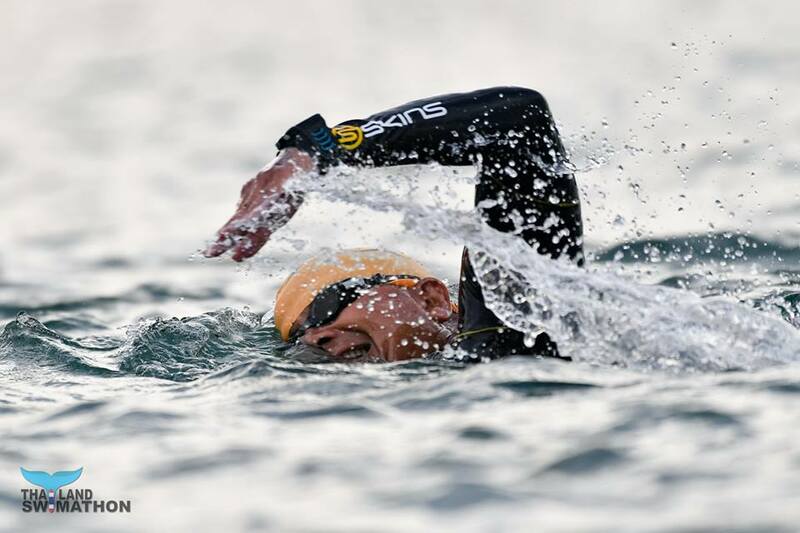 One week after the heart attack I started swimming 3km (one hour). 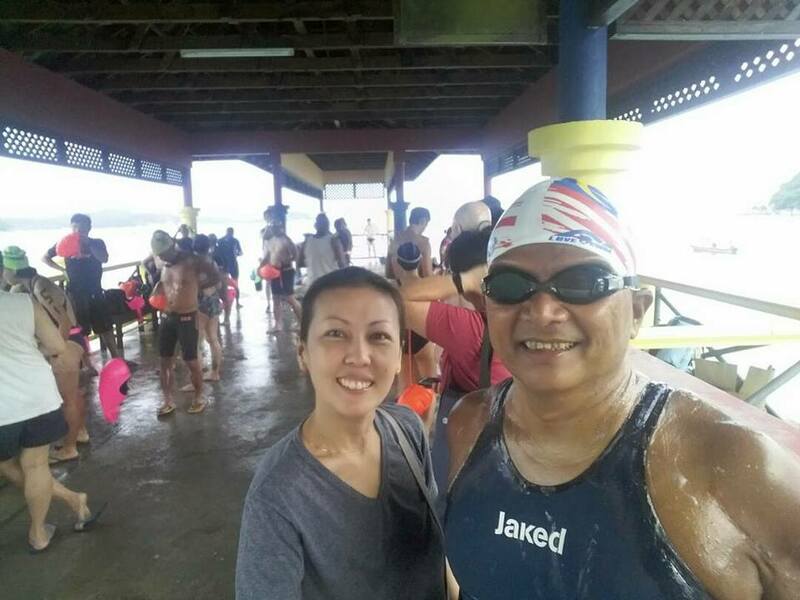 I even had a 10km swim day on 7 Jan 2017, but my standard workout was 7.5km over 2.5 hours (baring sickness) right until the day before my angiogram / angioplasty on 8 Feb 2017. 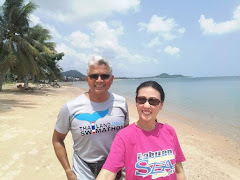 So whilst swimming may have caused my heart attack, it was very critical for my fast recovery from the Total Hip Replacement surgery and Heart Attack. Swimming is the way to go for me now. Its soothing and relaxes the body and mind. I like to hear the sound of water cascading outside my window, I like its clear blue appearance, its heavenly ha ha. Alhamdulillah .. We're glad u've recovered well .. 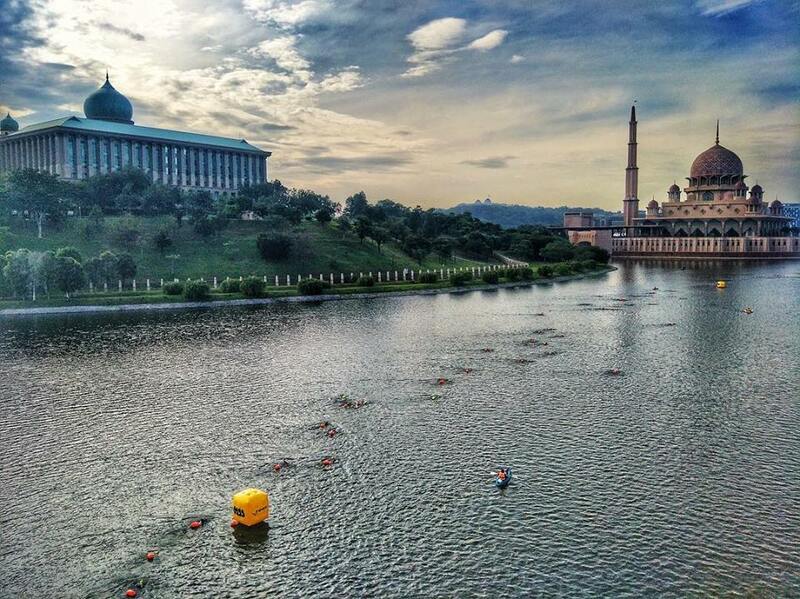 Thanks for the very highly remarks on Aquaputra Putrajaya, we're juz nervous until the last person count! Ha ha .. Swim Well, Know Ur Body .. I think it's well known that smoking is not a healthy activity. For the 1.5km, warm up first and start slow. 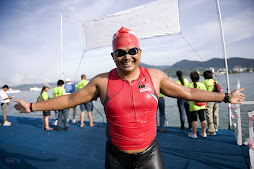 Lake swimming is more difficult than the sea. Visited your page, Berenang itu best. Yes I agree, swimming is best. Sometimes we are not aware the important of WARMING up. A really benefit information. 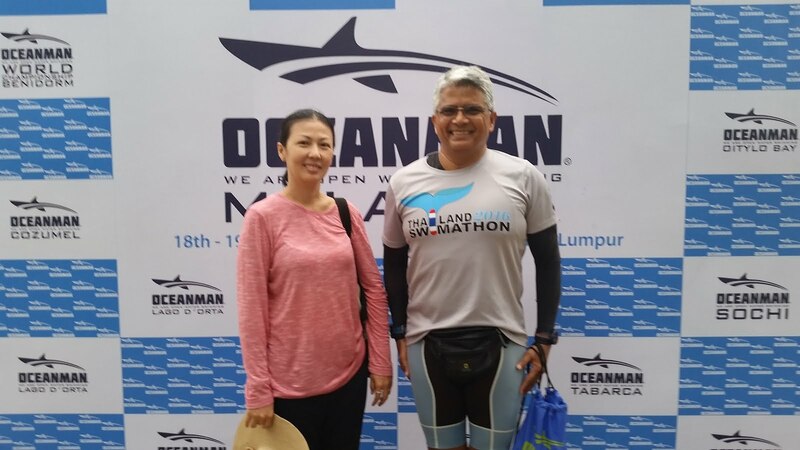 Preparing for 5km oceanman with a very good advise from this page. Thanks.